Students use the software suite SPSS Statistics or R to learn data analysis with a professional statistics application. Having worked on practical questions and suitable data sets they are able to identify the correct processes for data analysis. Students then implement these processes with the help of the software. Example data are additionally analysed independently. Students are able to model statistical trends and select correct analytical processes. They are aware of the possibilities and limitations of the modelling approaches and analytical processes employed. Students are also able to interpret results in a factually correct manner. · Students understand the basic rules of matrix algebra and are able to apply processes for solving linear equation systems. · By completing practical tasks they have gained elementary insight into the analysis of economic functions and the application of differential calculus, independently calculated examples and interpreted the solutions in an application-orientated manner. · Students can furthermore model simple optimisation problems, solve linear and non-linear optimisation processes with one or more variables and apply results to relevant scenarios. Simple problems can be identified and modelled using mathematical tools. · Students recognise the potential and the limitations of mathematical analysis and are able to interpret analysis results in an application-orientated and plausible fashion. · Describe the basic structure of the taxation of private persons, partnerships and companies. · Differentiate the core types of income tax. · Differentiate types of income according to German income tax law and solve simple case studies requiring the calculation of income to be taxed of private persons. · Solve simple case studies requiring the calculation of income to be taxed for companies. · Explain the sales tax system and solve simple case studies on the taxability and tax obligations of sales turnover. · Describe the problem of double taxation and principles for its solution in national tax law. · Explain the basic structure and functional principle of double taxation agreements. · Describe the core concepts relevant for investment, financing and dividend payment decision-making in companies. · Demonstrate interdependencies between investment, financing and dividend payment decisions. · Independently apply the knowledge gained to reach corporate finance decisions in companies. · Recognise the significance of cost accounting and differentiate it from external accounting. · Understand and use basic cost accounting terminology. · Implement essential cost accounting processes. · Interpret cost accounting results and apply them to decision-making situations. · Understand the fundamentals of budgeting and deviant analysis in companies. · Understand the basic structure of financial accounting and reporting. · Record business transactions using double-entry bookkeeping. · Draw up profit-loss calculations, balance sheets and cash flow overviews. · “Read”, interpret and analyse information contained within the annual accounts. · Apply the principles and rules of external accounting. · Understand and explain the functioning and efficiency of financial markets. · Understand and explain the activities of financial institutions. · Apply the fundamentals of investment theory to specific case constellations. This module provides knowledge about the applicability of information in the business processes and skills about the integration of corresponding information systems in management activities. Students understand the definition of culture and its application in global organisations. They are familiar with various cultural dimensions and standards, their creators and the limits of their use in practice. They can use important basic terminology and intercultural concepts. They are able to implement their knowledge appropriately in complex intercultural situations. Students have completed the first stages of intercultural competence development and have reflected on their progress. They know concrete fields of application for intercultural management in organisational development, mergers and acquisitions, marketing, communication, negotiations, project management, leadership, team development and human resource development. Students are able to analyse and evaluate real-life case studies from intercultural perspectives. Current intercultural topics can be independently interpreted using knowledge gained. Students also independently apply their knowledge to a concrete and complex case study. · Have gained knowledge of legal fundamentals in general civil and commercial law. · Are able to undertake comparative analysis of simple civil law case studies within the context of continental European law and common law and develop their own academic solutions. · Understand the basics of contract law, in particular agreeing contracts, the role of third parties, the dissolution of contracts and the legal consequences of contractual non-compliance. · Have gained an insight into the most important contact types for business. · Are able to differentiate between contractual transactions (Verpflichtungsgeschäft) and material transactions (Verfügungsgeschäft), and assess the consequence of this division for different legal systems. · Have gained an insight into the basics of property law. · Are able to assess EU institutions and their combined effects. · Have gained an insight into European sources of law. · Are able to differentiate provisions and regulations and to assess their respective functions and effects. · Understand the significance of fundamental freedoms for the domestic market. · Are familiar with the judicial position of the European Court of Justice regarding the fundamental freedoms. · Are able to differentiate between different company forms and to assess the significance of these differences. · Are familiar with the basic principles of international company law and the influence of European law. · Are able to develop independent and academically rigorous solutions in the fields of European law and national/international company law. · Explain the most important business principles, differentiate between them and identify them within companies. · Understand the application of these principles in business practice and classify companies accordingly. · Describe central business functions (purchasing, production, logistics, marketing, sales, financial control, accounting ...). · Recognise, analyse and evaluate central processes for business planning, decision-making and implementation. 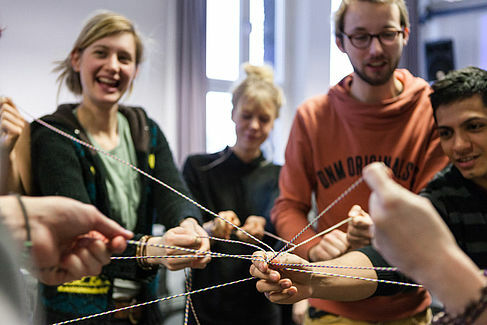 Students understand the role of institutions in market economies, develop an understanding of companies' holistic economic contexts and the connection between macro- and microeconomics, and are familiar with the microeconomic fundamentals of consumer choice theory, market theory and the theory of the firm. They also understand neoclassical market models of perfectly and imperfectly competitive markets. Students grasp the particularities of various market types including markets for goods, labour and capital; they understand different forms of market failure, the significance of innovations and technical advancements and the unique aspects of various economic systems. Having completed the module, students are able to construct arguments on the basis of core economics terminology and concepts, to correctly assess the functions and functional conditions of markets, and to utilise this knowledge to competently evaluate essential macroeconomic concepts within their economic and political contexts. They are also able to employ a structured approach when tackling the central economic decision-making tasks of private households and companies, to recognise and correctly assess the influence of market power and strategy on market results, and to competently judge the role of the state and its practical implementation. Students can analyse and evaluate elements of their own experience from an economic perspective as well as contextualising and interpreting current economic and political issues on the basis of the knowledge learnt in the module. Students understand the different perspectives of micro- and macroeconomics. They are familiar with aggregation methods, particularly using national accounts systems, and have mastered the logic of thinking in terms of economic cycles. Students are also able to contextualise and analyse core macroeconomic problems including unemployment, inflation, economic growth, external imbalances and national debt. They are well acquainted with the most important macroeconomic models and their respective methodologies and understand the relevance of macroeconomic policy and the role of core decision-makers, in particular the European Central Bank and state fiscal policy. Students are able to apply this knowledge to real problems and understand and assess alternative recommendations for action as well as comprehending professional texts in this field. · Employ management accounting information in decision-making. · Utilise management accounting information in pricing. · Integrate strategic concerns into management control systems. · Apply new developments in management control systems. · Independently work through and solve management accounting case studies. Students are able to understand the core economic, political and geopolitical differences between and within defined economic zones (such as Asia, Europe, North America) in a global context, as well as describing these using suitable data and analysing strengths and drawbacks. They can accurately assess the consequences of the interaction between national economic policy and corporate trade and investment decisions against a background of shifting international economic relations and as factors for business decisions relating to selecting locations for different value generation activities. Students are familiar with the basic terminology of descriptive and inductive statistics, probability calculation, bivariate data analysis and test theory. They are able to apply data analysis processes, and by completing practical tasks they have gained elementary insight into data analysis and the application of the correct analysis and modelling methods, calculating examples independently. Students are able to model statistical trends and select the correct analytical tools. The modelling approaches and analytical processes discussed can be applied to practical examples while the limits of the models are observed. Students are also able to interpret results in a factually correct manner. The use of suitable standard software for data analysis, such as Microsoft Excel in its current version, is aspired to. Students have acquired basic knowledge in the "Marketing" research discipline. They are able to analyse different marketing scenarios and use the marketing mix in practice. Students can critically analyse practical approaches to marketing and propose improvements.